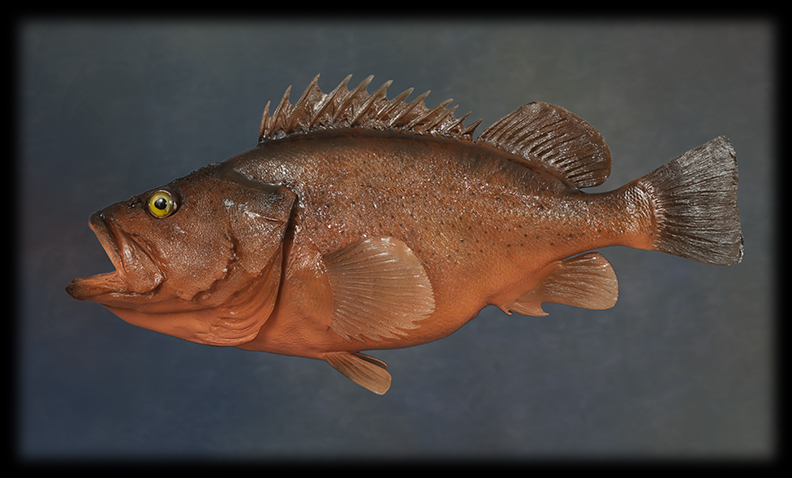 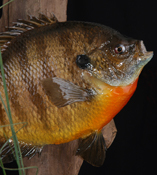 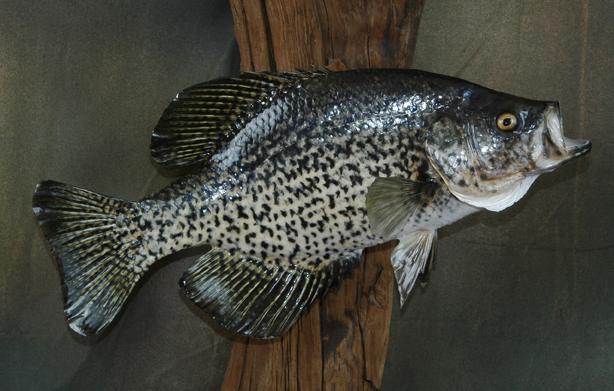 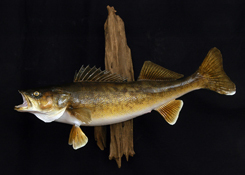 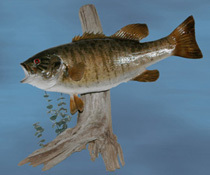 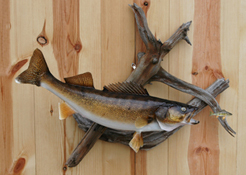 Fish can be mounted in a variety of poses. 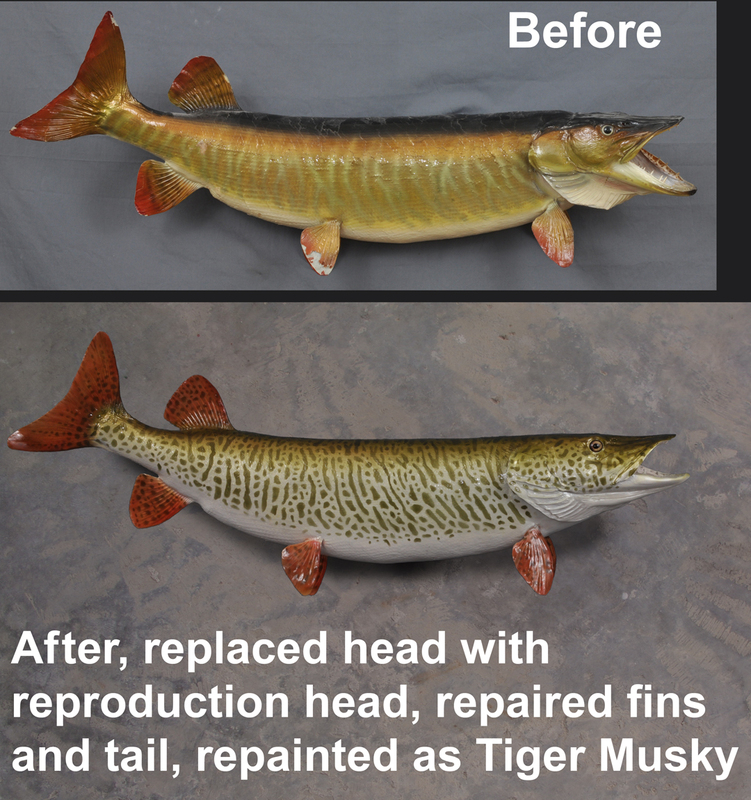 Tail up or down, out or back or s-curve (northern and musky only). 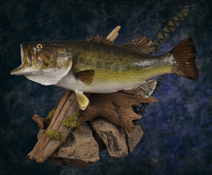 or can be a freestanding mount on a base that can sit on a table, shelf or mantle. 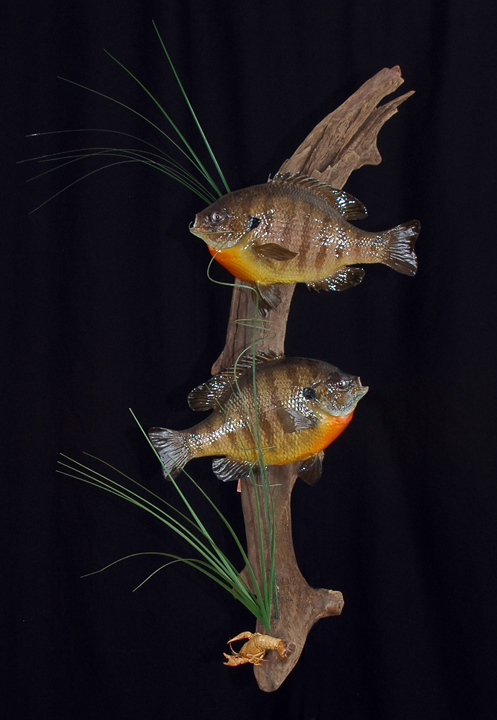 Small bait fish and weeds can be added to complete the scene. Stringer mounts are also another option that you can keep adding to as you catch more trophies. 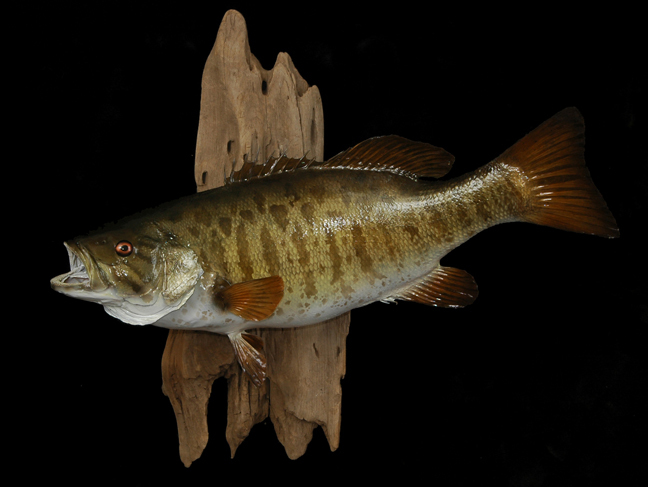 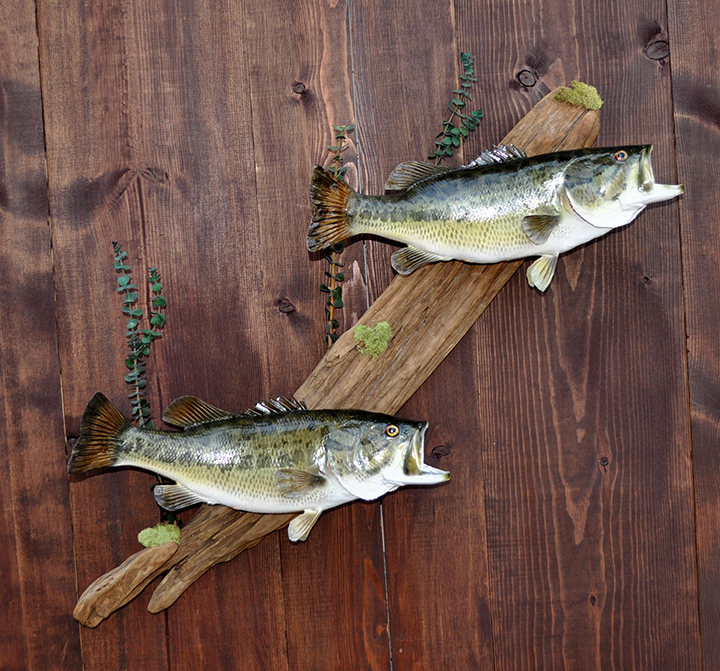 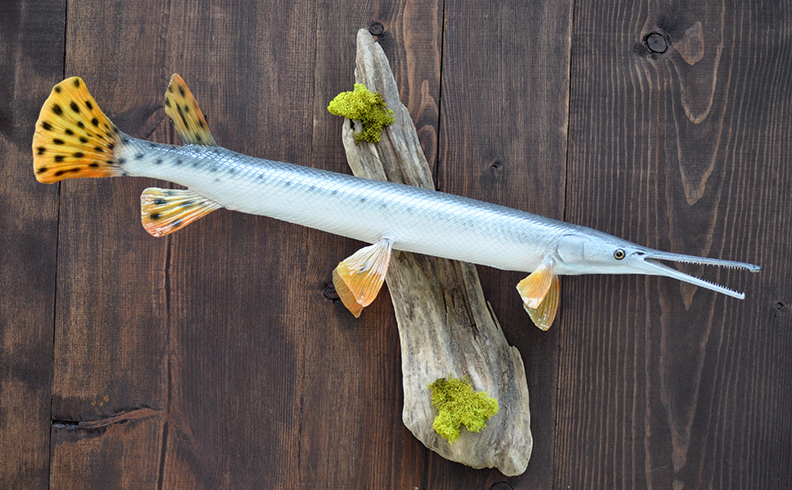 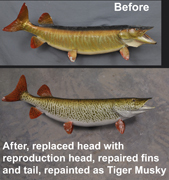 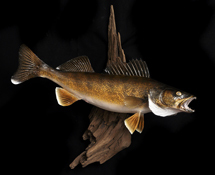 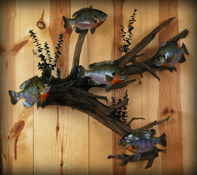 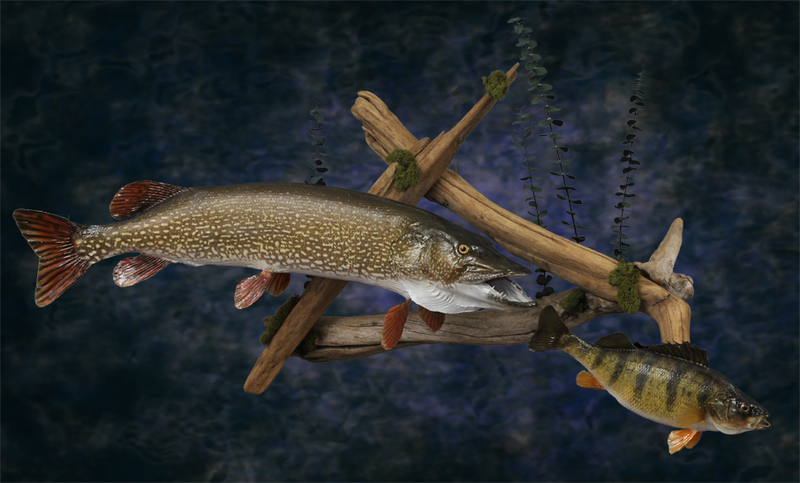 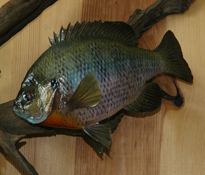 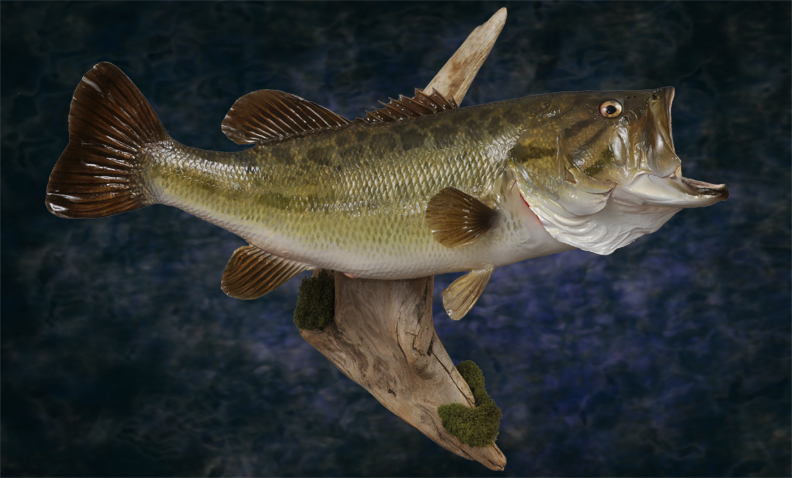 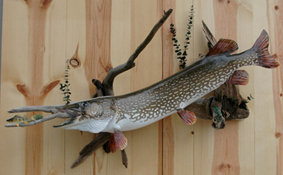 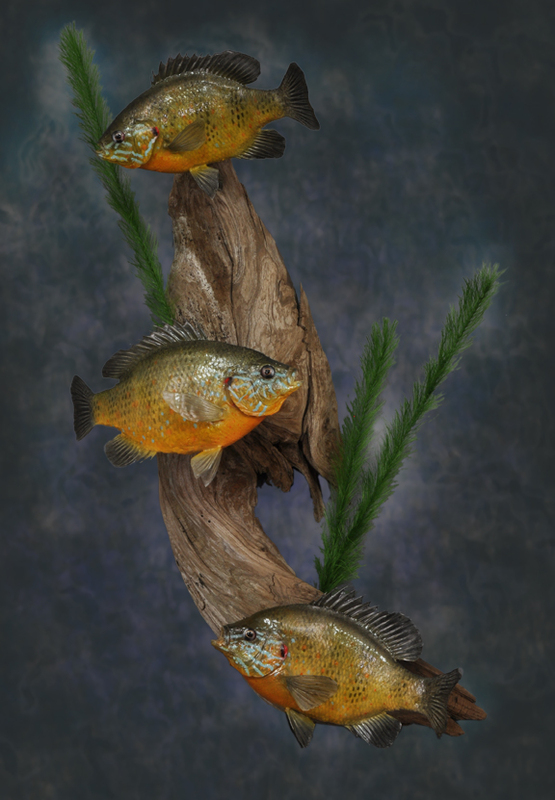 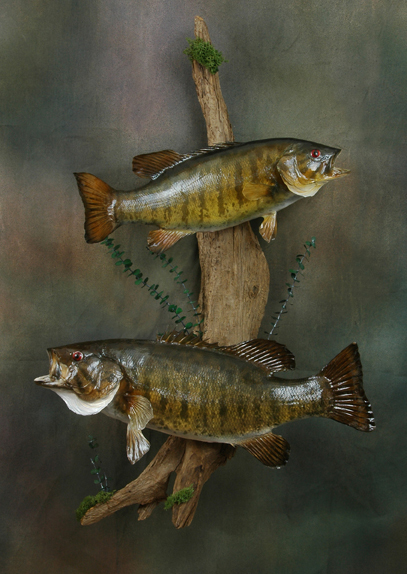 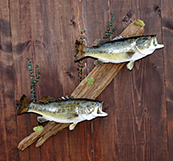 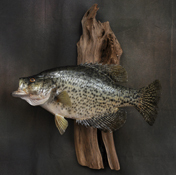 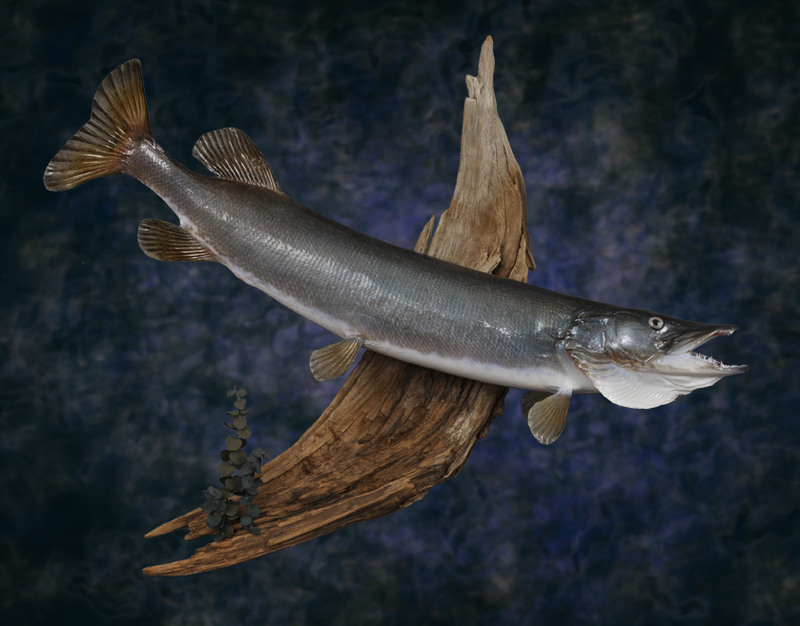 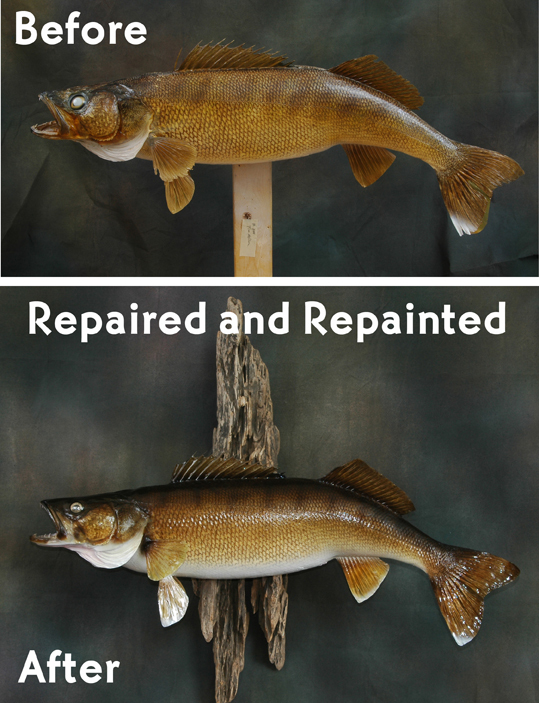 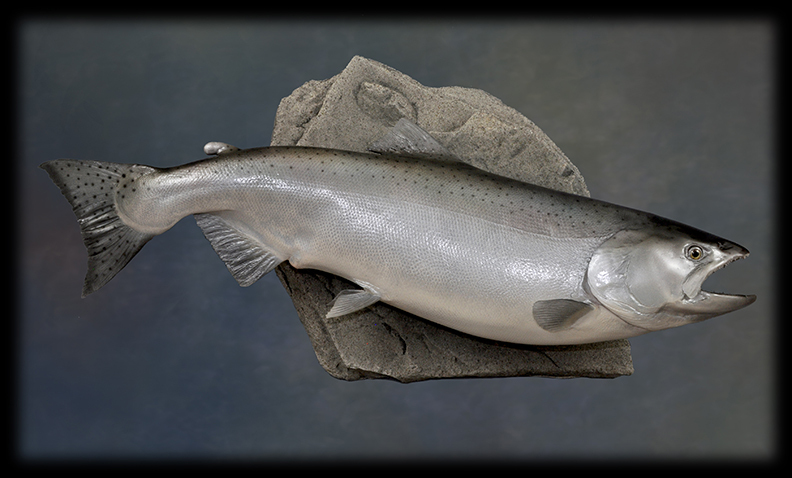 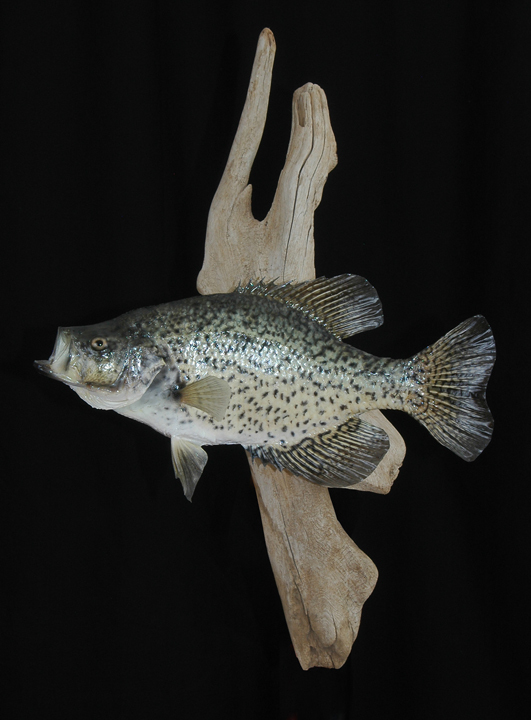 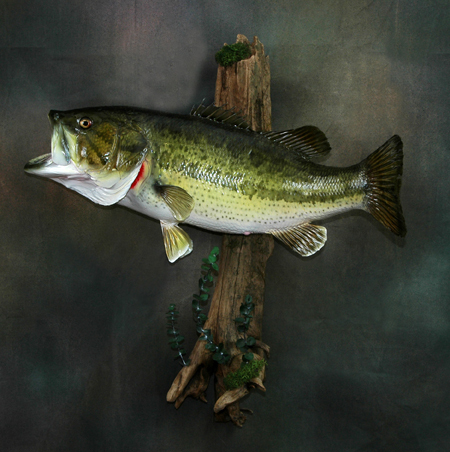 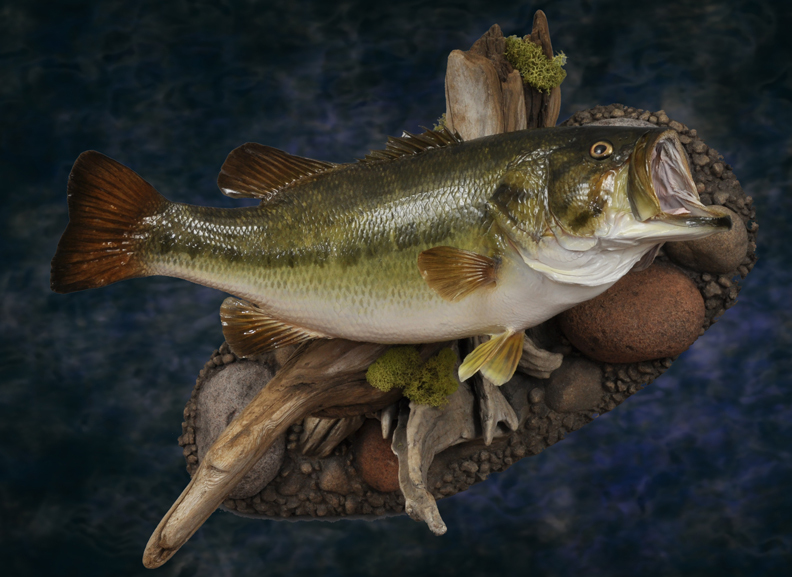 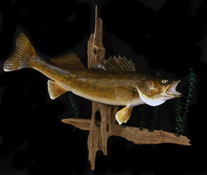 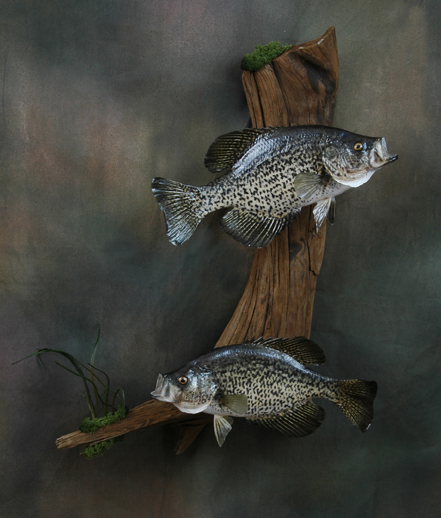 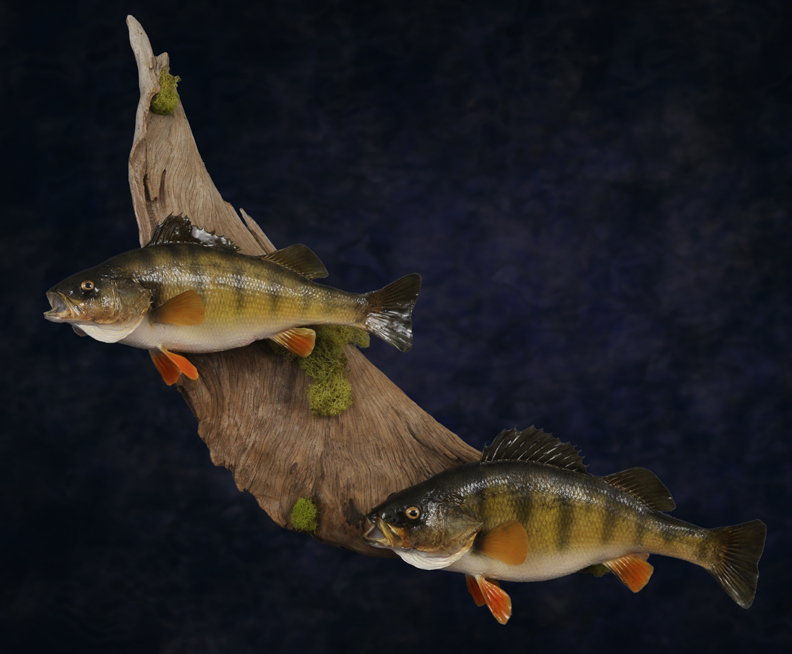 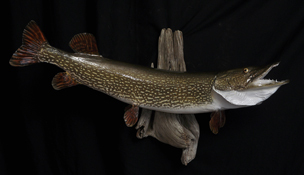 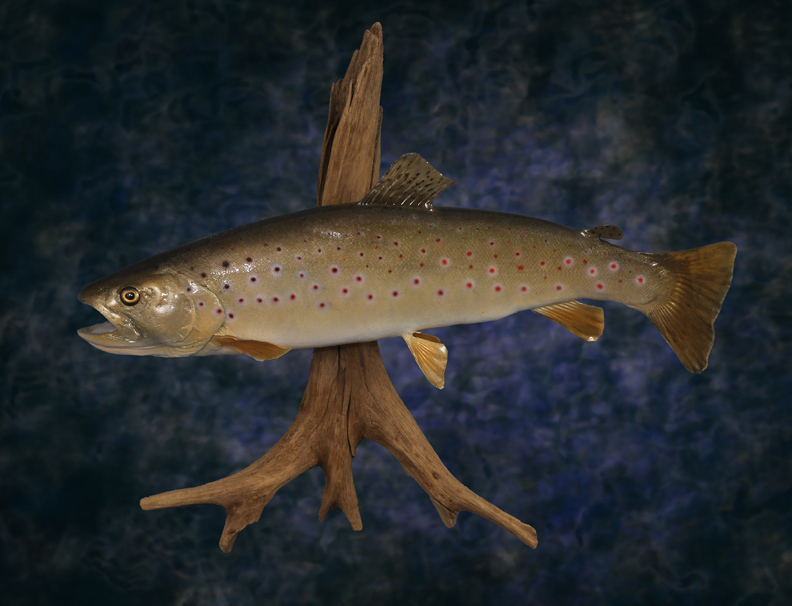 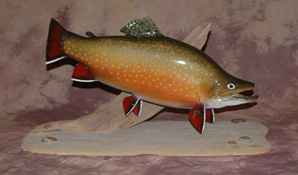 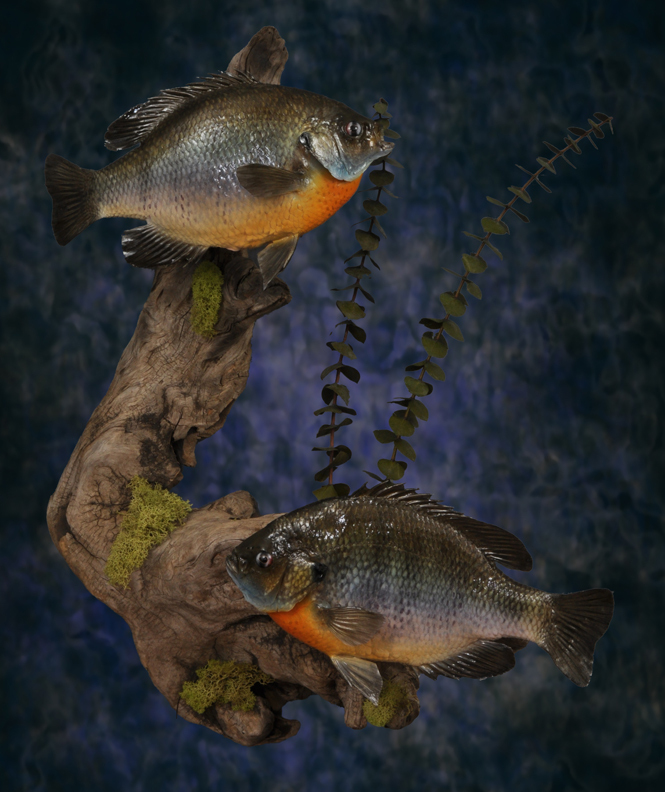 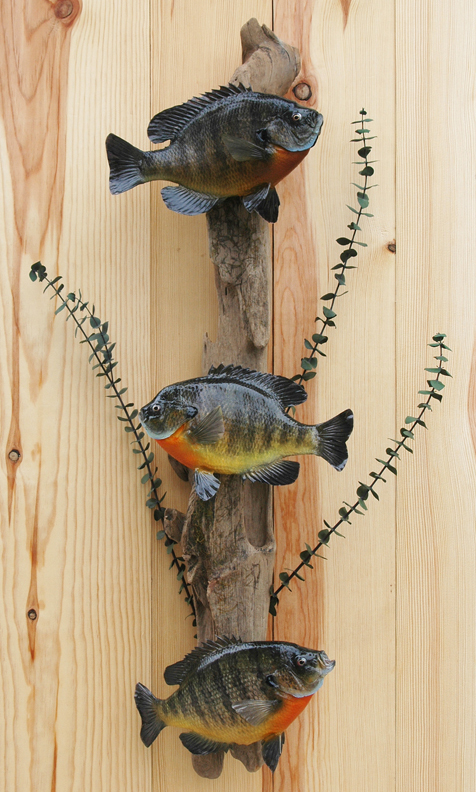 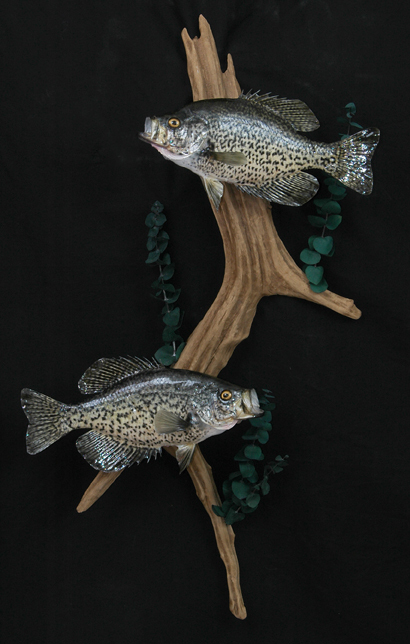 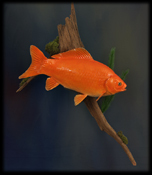 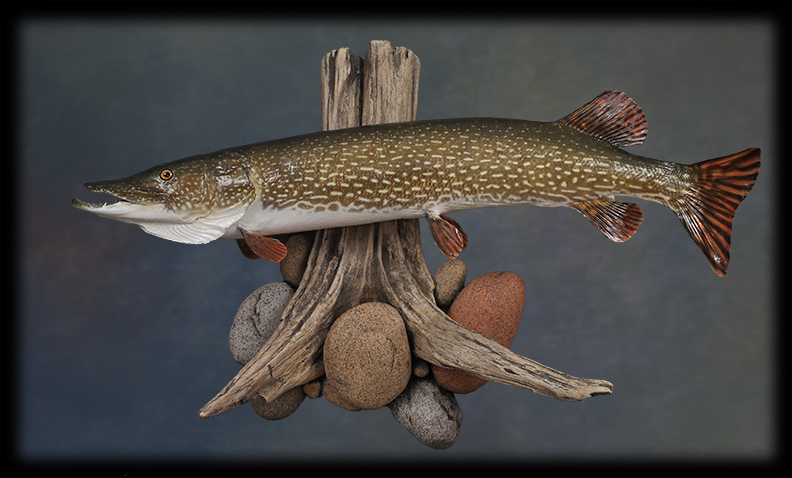 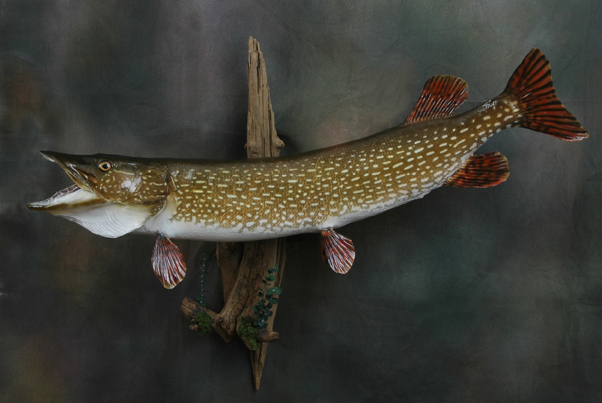 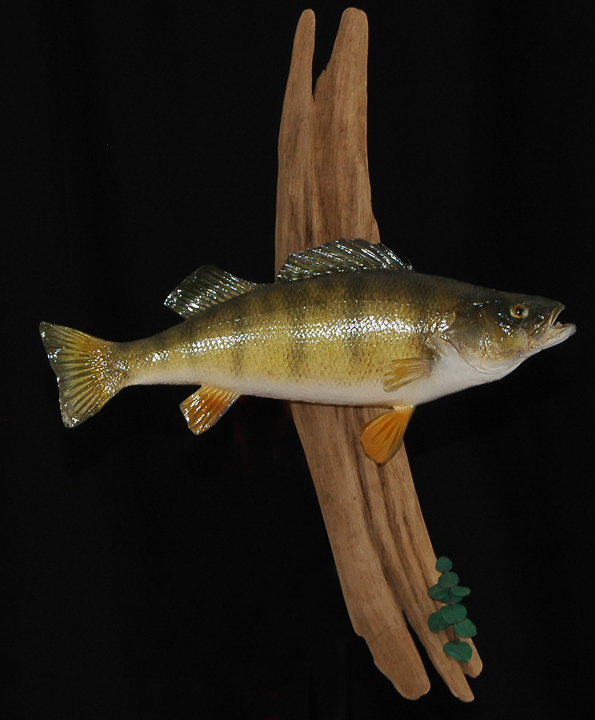 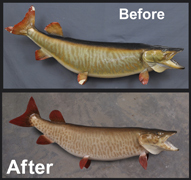 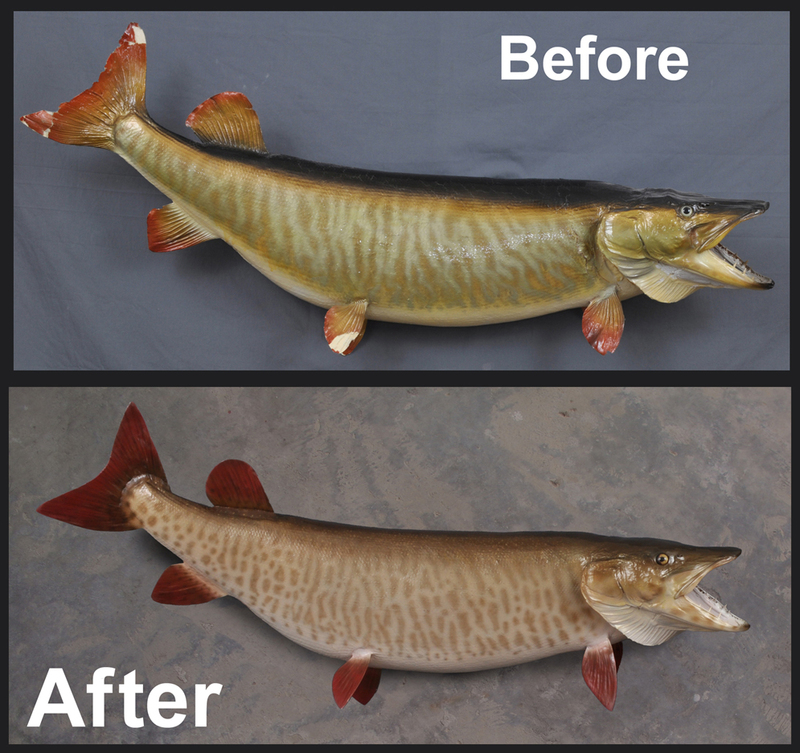 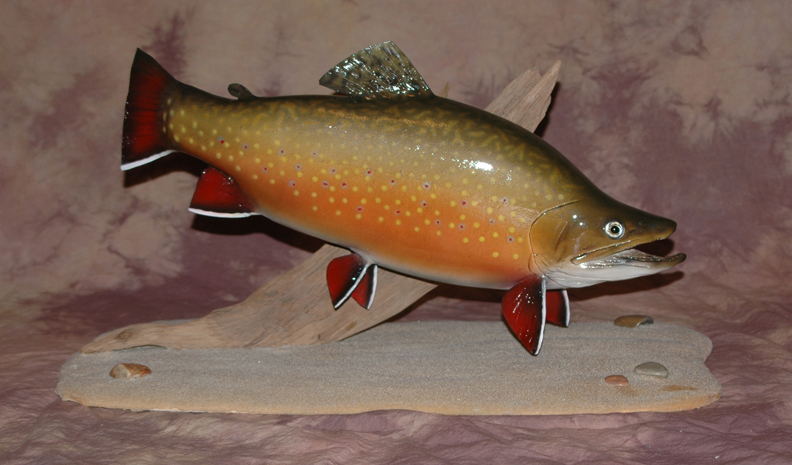 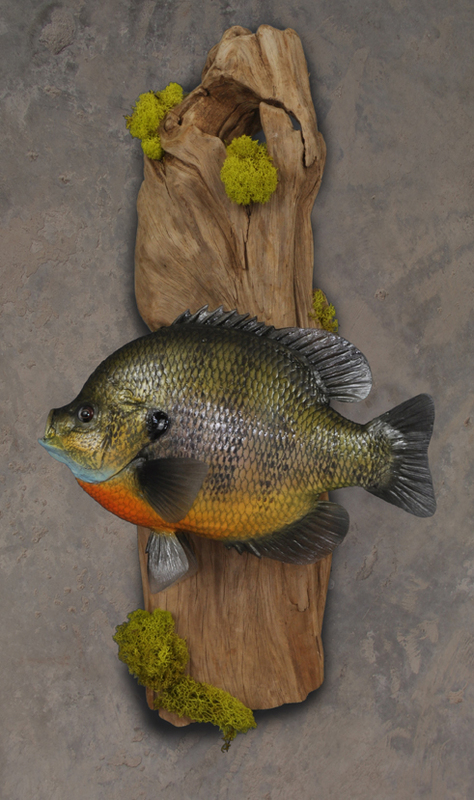 I can also create fish reproductions in a wide variety of species and sizes. 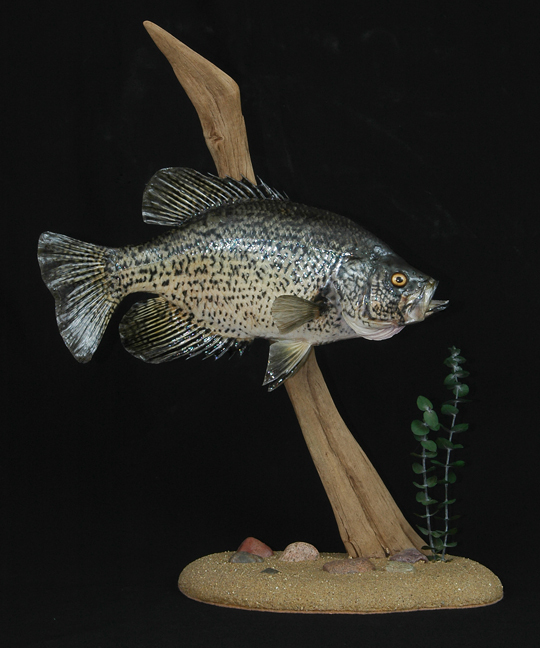 Northern Crappie Walleye Reproduction 30"